Women in India are not told what to wear and how to wear what, union Human Resource Development Minister Smriti Irani said here on Friday.In a packed hall at the Women in the World Summit, India, the minister was booed by the audience after she made the statement saying: "Women in India are not told what to wear. They are not dictated how to wear any thing. "In the audience which included veteran journalists, filmmakers, civil society members, international figures like US ambassador to the United Nations Samantha Power, Irani was left spell-bounded to her statement. While in conversation with media personality Tina Brown, she was asked about the growing intolerance issue in the country and the returning of awards, Irani resorted to the "freedom" of Indian women. "I think that these challenges and push and pulls are part and parcel of each and every country in the world," she said.On being asked why she chose Bharatiya Janata Party as her career stream in politics, she said: "I am from a swayamsevak ideological family background, so I chose this party to begin my career with. 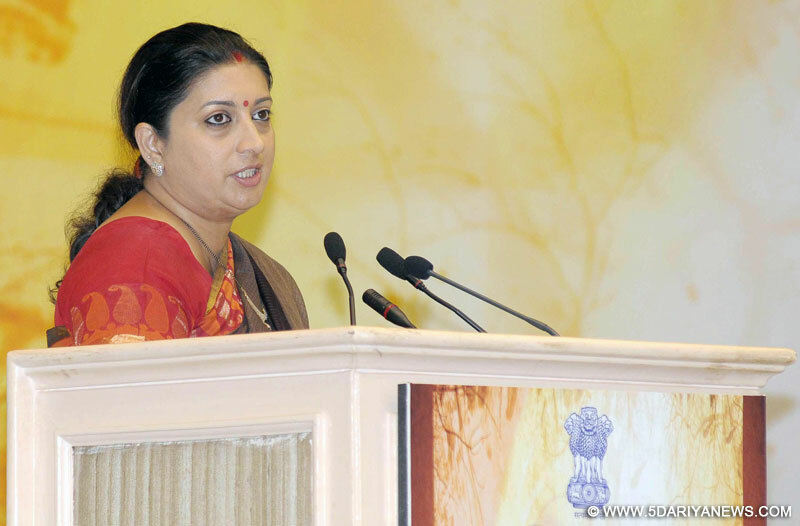 "Irani also mentioned Prime Minister Narendra Modi as being her biggest mentor. "Modiji has trusted me a lot. He has helped me to look into my audacity in politics."